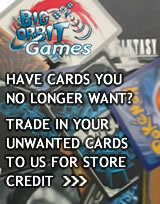 If purchasing sealed boxes or packs using store credit please check the total on the cart page. If Ark Angel HM deals damage to your opponent, double the damage instead. 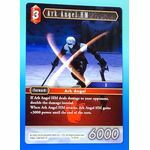 When Ark Angel HM attacks, Ark Angel HM gains +3000 power until the end of the turn. When Red Mage enters the field, choose 1 Fire Forward. Until the end of the turn, it gains Haste and Brave. EX BURST Choose 1 Forward. Deal it 4000 damage and 1000 more damage for each Fire Backup you control. If a Fire Character you control deals damage to a Forward, the damage increases by 1000 instead. Dull: Choose 1 Forward. Deal it 1000 damage. Dull: Choose 1 Category VI Forward you control. It gains +1000 power until the end of the turn. EX BURST When Cloud enters the field, choose 1 Forward opponent controls. Deal it 3000 damage and 1000 more damage for each point of damage you have received. 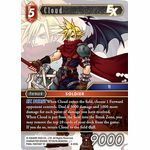 When Cloud is put from the field into the Break Zone, you may remove the top 10 cards of your deck from the game. If you do so, return Cloud to the field dull. 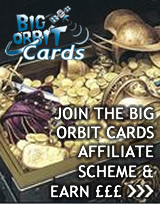 © 2011-2019 Big Orbit Games.